We try to bring you the stories you want to read, but could really use your help! We know a lot of awesome things happen at the unit level those of us in Lansing just don't know about. While we are touring each armory in person, we haven't made it to everywhere yet. Do us a favor and keep us in the loop about the goings on of your unit. Have exciting training coming up next month? Awesome, let us know! Did you just get promoted, and have a great selfie to prove it? Sweet, let us tell the world! Email any news tips, pictures or story ideas to minationalguard@gmail.com. Spring is just around the corner and with that comes Alcohol Awareness Month in April. This year National Alcohol Screening Day (NASD) is April 9th. 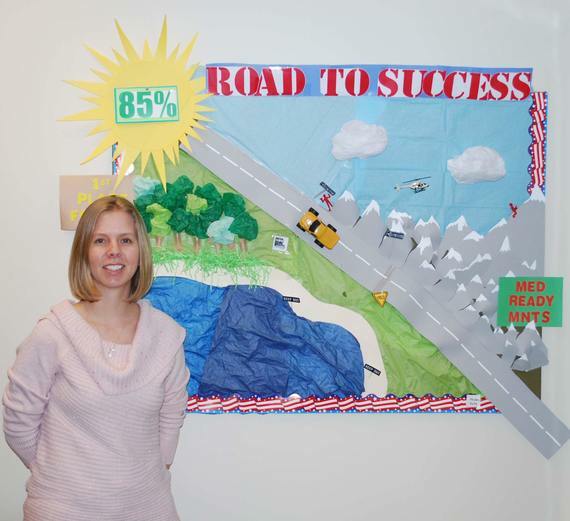 NASD has happened each year since 1999 and was created as an outreach initiative to connect those at risk of alcohol abuse with treatment options. Each year thousands of participants get screened for substance abuse disorders on NASD. Keep watching for more information. Don’t want to wait until April to see where your risk level is? If you, or someone you know, is struggling with substance abuse contact the Army Substance Abuse Program at 517-481-7934. We can help connect you with resources. Also, check out http://screening.mentalhealthscreening.org/Military_NDSD for a brief screening. LANSING, Mich. -- Michigan Public Affairs sat down with the newest member of the health support team at Joint Forces Headquarters, Mrs. Heather Nystrom, the new director of psychological health to learn what she can do for members of the Michigan Guard family, what brought her to Michigan, and how she earned a commander’s coin in Korea. Q1. MING PA – Thank you for sitting down today, can you start by telling us what inspired you to become a behavioral health specialist? Heather Nystrom – I am prior service active duty (68X – Mental Health Specialist) and my first tour of duty was with the 2nd Infantry Division at Camp Casey, Korea. While there I was stationed with two very good behavioral health officers who became my mentors and really pushed me and pushed my limits and really helped me decide what I wanted to do with my life and my career; that is where my love for social work and working with military was developed. My passion now is to serve veterans, families and service members. Q2. MP – How has your training, education and experience prepared you to be a behavioral health specialist with the Michigan National Guard? HN – After my tour in Korea I completed my active duty time serving as an assistant ward master for an inpatient psych ward at Fort Bliss in El Paso, Texas. After leaving active duty I earned my MSW (Masters of Social Work) at Michigan State University and started working at Volunteers of America Michigan which is an organization that works with the most vulnerable members of the population; homeless, poverty, unemployed. I oversaw two of our programs which worked with homeless veterans and really developed a lot of relationships within the community working with organizations that help veterans and organizations within the National Guard like Family Programs. Being a veteran and a military spouse has really provided me insight as to what Soldiers struggle with. Q3. MP – What does the Director of Psychological Health do exactly? HN – I am still learning the specifics of the position but the main mission and vision is to develop the behavioral health services for the Michigan Guard, marketing behavioral health, working together with programs like Family Services, SARC (Sexual Assault Response Coordinator), and ASAP (Army Substance Abuse Program) to ensure Soldiers facing issues like mental health or substance abuse have a blanket of services provided to them. People can also have access to me for BHEs (behavioral health evaluation) or if there is an immediate mental health crisis where guidance needs to be issued or a referral made, I can provide that as well. Q4. MP – So an individual Soldier or family member could contact you directly if they are experiencing difficulty? HN – Of course, I am still really well connected (as a result of previous employment) with community groups that help service members that are at risk of homelessness or who are homeless or are struggling financially or are unemployed. These resources are very valuable and could mean a lot to a service member. Service members may also reach out to our two psychological health coordinators, Maria Bouhard or Martin Groom. Both have extensive experience serving National Guard service members. Q5. MP – What would you say to a first line supervisor who identifies a potential behavioral health issue with a subordinate? HN – First, I would praise that leader for supporting their service member and wanting to do something; in some ways mental health issues are like medical issues, if you do not do anything they will not get better. Then, I would encourage that leader to contact me directly, I can provide guidance and coach that leader on how to approach the Soldier and provide resources to help. Leaders know their Soldiers the best and I can coach them through providing assistance. I hope to eventually be able to provide education to units about how to identify signs of increased stress, depression and other potential issues. Q6. MP – There are a large number of resources available to our service members, how is your service different than services provided by say a chaplain? HN – It depends on what the Soldier wants, if they are more comfortable going to a chaplain then I say “go see your chaplain.” I come from a background of wrapping services together and not having silos for each service. We should work together to provide what is best for the service member, and his or her needs. We have a strong behavioral health team, now it is just a matter of marketing and increasing awareness within the Michigan National Guard. Q7. MP – You were born and raised in Indiana, how did you end up in Michigan? HN – I met my husband (Sgt. 1st Class Michael Nystrom, currently the readiness NCO for the 46th Military Police Command) while we were both stationed in Korea. He is from the Hastings area and, when I finished my last tour on active duty at Fort Bliss, Texas, we moved to Michigan so I could go to school and we could start a family. Q8. MP – I heard you earned a commander’s coin in Korea, how did that happen? HN – A Soldier in a unit about to deploy was struggling to deal with the loss of a family member. Prior to the passing, this Soldier was a solid performer, always upbeat and really contributed to his unit. Since the passing of the loved one, he had become withdrawn and wasn’t contributing the way he used too. His chain of command had tried a number of different counseling techniques but nothing seemed to help. His company commander sent him to me and, at the time, I was going through a similar situation in my life. We spent some time together talking through the issue and going over some strategies and the Soldier was returned to his unit. I honestly was unaware of what happened to him, until a few weeks later when his company commander came into my office and said “I don’t know what you did for that Soldier but he is back to his old self and I would like to present you my commander’s coin for being so much help to the unit.” I was glad to be able to help the Soldier. Q9. MP – You have been involved in helping Soldiers in some capacity for more than 10 years, what have you noticed about behavioral health issues? HN – Well, there is no such thing as a “cookie cutter” approach when it comes to mental health issues, every situation with a service member is different and I would like our behavior health team to be thought of as one more tool in a Soldier’s tool box to provide assistance. There is a lot of stigma around mental health that has been broken, which is awesome. I can tell you stories from my active duty days where Soldiers were thought of as “crazy” because they were stressed or depressed or anxious by people who just didn’t understand mental health. The situation is much better now and I am glad to play a role in continuing to improve the stigma around mental health. Q10. MP – Thank you for the informative interview, how does someone get in touch with you? HN – They can email me (heather.l.nystrom2.mil@mail.mil) or call my office (517-481-8101) or call my blackberry (313-207-1651) or they can stop in to our office in the Joint Forces Headquarters building, room 123. We have two very experienced Psychological Health Coordinators that can provide assistance as well. They are Martin Groom at 517-243-3116 or martin.j.groom.ctr@mail.mil, and Maria Bouharb at 313-957-6595 or maria.c.bouharb.ctr@mail.mil. application and review process, the locations selected for activation in fiscal year 2016 include a Michigan, Ohio, Indiana partnership group, a team from Georgia, and a team from California. 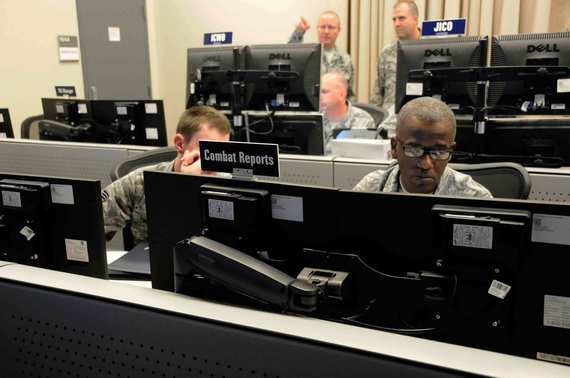 "The selection of the Michigan National Guard as one of the first cyber protection teams is further evidence of Michigan's outstanding leadership in cyber security," Gov. Rick Snyder said. "Our talented Guard members are continually developing innovative approaches to keep Michigan residents and businesses safe from these emerging kinds of threats. 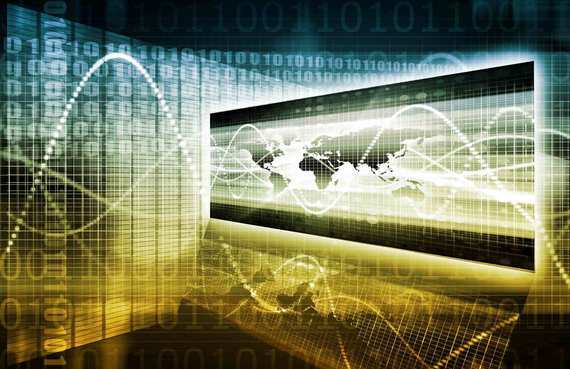 Being cyber savvy also enhances Michigan's global marketability for training and research." "The team will be an invaluable part of the force," said Maj. Gen. Gregory Vadnais, adjutant general of the Michigan National Guard and director of the Michigan Department of Military and Veterans Affairs. "Protecting infrastructure from enemies that could potentially destroy water systems, take down electrical grids, disrupt fuel distribution, communication lines, or transportation systems is as much a part of national security as any munitions battle ever was. And leading the way, at the front lines, are members of the Michigan National Guard, Hoo-ah!" added Vadnais. Cyber protection team members will begin their assignment with intensive specialized cyber training to qualify as Army Cyber Soldiers. The academically challenging cyber courses are 4-12 months in duration and are held in multiple locations across the country, adding another level of challenge to the program. When fully trained, CPT members will be responsible for conducting defensive cyberspace operations, readiness inspections and vulnerability assessments as well as a variety of other cyber roles and missions. field the cyber force across the Total Army," said Lt. Gen. Edward Cardon, commanding general of the U.S. Army Cyber Command at Fort Belvoir, Va. "Citizen Soldiers are already an essential part of the Total Army, so these cyber professionals, many of whom bring private sector experience, will enhance the Army's cyberspace capabilities and capacities." LANSING, Mich. -- The 156th Brigade Signal Company, Michigan Army National Guard, based in Adrian, has the mission to provide satellite-based communication. The 35 assigned members are challenged to provide a battlefield communications network to the troops in the field. The unit falls under the 631st Troop Command in Lansing, but their lineage is the 65th Fires Brigade, Utah National Guard. The original 156th Signal Battalion dissolved on Sept. 1, 2006. After several changes, the 156th Brigade Signal Company stood up Sept. 1, 2012. On Oct. 1, 1961, the 156th Signal Battalion was federalized at its home station in response to the Cuban missile crisis. The unit reported to Fort Benning, Ga., on Oct. 13, 1961, for one year of service. On May 14, 1980, the 156th BSC responded with 150 members and equipment after a tornado destroyed large portions of Kalamazoo. Today’s military operations require reliable, high-data rate communications to quickly deploy and control field units. The 156th BSC is one of the units providing those communications for the Michigan National Guard. The 156th BSC uses the Joint Network Node, a system which was developed to replace the Mobile Subscriber Equipment the 156th formerly used. It provides beyond line of sight capabilities for the battle field. The JNN is commercial equipment packaged in tactical shelters that may be linked to an internet department on wheels. JNN consists of vehicles equipped with satellite communications as well as voice-over-IP and dynamic IP technologies that connect to military networks. Fifteen thousand rounds to the good. About 200 Michigan Airmen engaged in a series of exercises - primarily focusing on combat search and rescue utilizing the A-10 Thunderbolt II - centered at Davis-Monthan Air Force Base in Tucson, Ariz., and the nearby Barry M. Goldwater Air Force Range over the two weeks ending Feb. 7, 2015. The Snowbird exercise allowed the Airmen of the 107th Fighter Squadron, 127th Maintenance Group and other supporting elements of the Michigan Air National Guard's 127th Wing to practice the major movement of their aircraft and personnel from home station at Selfridge Air National Guard Base and then to be able to engage in a simulated combat environment. "When you make a big movement like that, there's always issues that have to be worked through," said Chief Master Sgt. Wayne Fetty, aircraft maintenance superintendent on the trip. "But our Airmen worked together in a professional manner - acting like the true Airmen they are - and had a successful trip." During the exercise, the A-10s from Selfridge fired nearly 15,000 rounds from the 30mm GAU-8 gun that is the aircraft's primary weapon. In addition, almost 500 bombs, rockets and missiles were fired by the aircraft's pilots during training missions in the Goldwater range. In many of the missions, Selfridge pilots worked closely with local Air Force rescue helicopters and other assets in a complex and realistic series of scenarios. Originally designed for close air support, the A-10 provides an ideal platform to provide support to rescue operations in potential close proximity to opposition ground forces. The A-10 can also provide airborne command and control support to rescue operations, as well as serve in air interdiction and intelligence, surveillance and reconnaissance capacities. "This exercise gave everyone a chance to see that when we come together - Wing Commander Brig. Gen. (John D.) Slocum calls it 'One Team, One Fight' - that we can pack a serious punch," said Lt. Col. Shawn Holtz, 107th Fighter Squadron commander. Holtz and Fetty said that as a result of the training during Snowbird, numerous pilots, maintenance personnel and others were able to be "signed off" in a variety of upgrade training, further widening the skill set of 127th Wing personnel. The Jackson-based 272nd Regional Support Group was founded on Sept. 2, 2007. One of the youngest Michigan Army National Guard units, the Regional Support Group’s primary mission is contingency and expeditionary base operations support. Responsibilities include: managing base facilities; providing administrative and logistical support and other soldier services for base tenants; and base security. The RSG provides Command and Control (C2) of assigned units during homeland security and homeland defense missions and civil support missions within the United States and the State of Michigan. When not deployed, the RSG provides Command and Control structure for Aviation, Medical, Transportation, Quartermaster, and Maintenance Army Guard units throughout the State of Michigan ensuring they meet training, readiness, and deployment requirements. From August 2008 to July 2009 the 272nd deployed a Logistics Military Advisory Team (LMAT) to Iraq. The 272nd RSG LMAT was divided into six separate teams upon arrival in Iraq and served at the following five locations: Taji, Al Kasik, Tallil, Shaiba, and Baghdad. The LMAT was originally deployed to “advise” the Iraqi Army on logistical procedures throughout the area of operations; however the teams did everything from contract oversight to plumbing, in addition to their duties as logistical advisors. Since deploying to Iraq, the 272nd RSG has had the opportunity to participate in a large Regional Training Exercise in South Dakota, Served on Training Teams to Latvia and Liberia, and participated in various other training events throughout the state. In June 2014, HQs 272nd RSG and two subordinate units, the 1463rd Transportation Company and the 464th Quartermaster Company participated in Operation Golden Coyote in South Dakota. The exercise was conducted in the Black Hills of South Dakota in cooperation with Custer State Park, the Black Hills National Forest Service, the Oglala Sioux Indian Tribe, and other organizations. 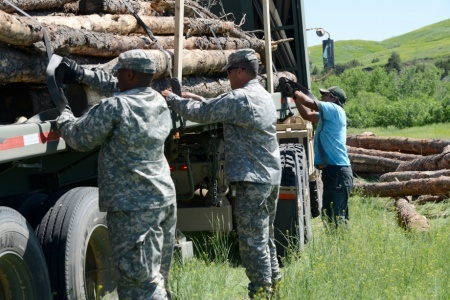 One of the primary objectives of the exercise was to transport timber to various drop points within the Pine Ridge Indian Reservation. Traveling from Michigan to South Dakota was a major training event in itself. Approximately 130 personnel in 60 vehicles convoyed more than 1,000 miles in three days (each way) testing vehicle reliability, communication equipment, and supply protocols. During the actual Golden Coyote Exercise, the 272nd RSG served as the Governor cell for five geographically dispersed operating bases; conducted Reception, Staging, Onward Movement and Integration (RSOI) for more than 3,700 service members to include international partners from Denmark, Canada, and Great Britain; and provided command and control to assigned units. In April 2015, the RSG will participate in Operation Arctic Eagle. HQs 272nd RSG will serve as the Joint Force Land Component Command (JFLCC) for the Joint Multinational Exercise, which will take place in several geographical locations in the northern part of Lower Michigan. LANSING, Mich. -- The Headquarters and Headquarters Detachment, 146th Multifunctional Medical Battalion, Michigan Army National Guard, is based in Ypsilanti and has the mission to provide a scalable, flexible and modular medical battle command to support deployed troops. The 70-plus assigned members are skilled in administrative assistance, logistical support and technical supervision. The146th Medical Battalion has eight full-time support staff for the battalion with two as HHD staff. The 1171st Area Support Medical Company, MIARNG, is task-organized under the MMB and is co-located with the battalion in Ypsilanti. Capt. Tina Corner was recently assigned as the 146th battalion officer in charge. On drill weekends she serves as the force health protection officer. According to the unit’s full-time operations NCO, Master Sgt. Frank Flores, the 146th has a lot to bring to the fight. Flores has more than 16 years of combat medic experience in the active Army and the Michigan National Guard. The unit stood up Oct. 1, 2004 as Headquarters and Headquarters Detachment, 146th Medical Evacuation Battalion, based at the Army Aviation Support Facility in Grand Ledge. According to Corner, the 146th was designated to provide command, control and logistical support of assigned and attached air and ground medical evacuation units within a theater of operation. At the time, the 146th MEDEVAC did not have their own unit crest or patch and wore the Headquarters, State Area Command, MIARNG patch. On Oct. 1, 2005, the unit was reorganized as HHD, 146th MMB. Within a year, the unit deployed to Balad, Iraq as the Army's first fully transformed multifunction medical battalion. They served as a task force with five area support medical companies, two dental services companies, two ground ambulance companies, one forward surgical team and one headquarters detachment organized under them. The 11 units totaled more than 750 Army, Army Reserve and National Guard Soldiers. In Iraq, the task force dispersed its medical and dental assets among 23 strategic locations, encompassing the entire theater of operation. In addition, TF146 MMB provided 36 combat medics who were attached to the Multi-National Security Transition Command – Iraq. The medics provided medical support and served as medical educators for Iraqi Security Forces. During their deployment, the unit had several external missions, including postal operations, instructing at combat-medic training centers and multi-national coalition personal security details. Two ground ambulance companies were integral in providing medical support to the daily combat logistics patrols throughout the theater of operations. 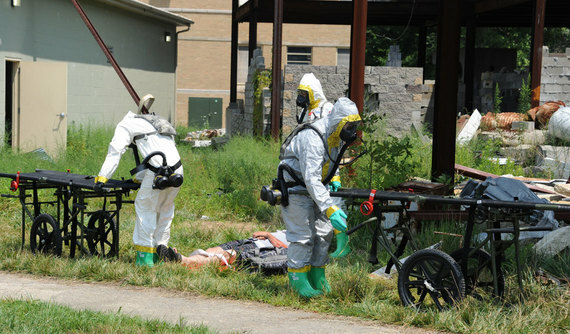 The task force encountered more than 125,000 patients; 8,000 laboratory procedures, 35,000 immunizations and anthrax initiations, among many other medical duties. The medical evacuation force provided base evacuation as well as 1,400 convoy logistical patrol missions covering more than 260,000 combat miles to evacuate patients. During their deployment, one 146th Soldier was awarded the Purple Heart Medal. The 146th MMB currently has 13 personnel on duty status with the Michigan National Guard command and control response element to civilian authorities (more commonly known as C2CRE). The medics provide first responder support, medical support to chemical reconnaissance, the medical support to mass patient decontamination during CBRN response operations for civil authorities in order to save lives and minimize human suffering. 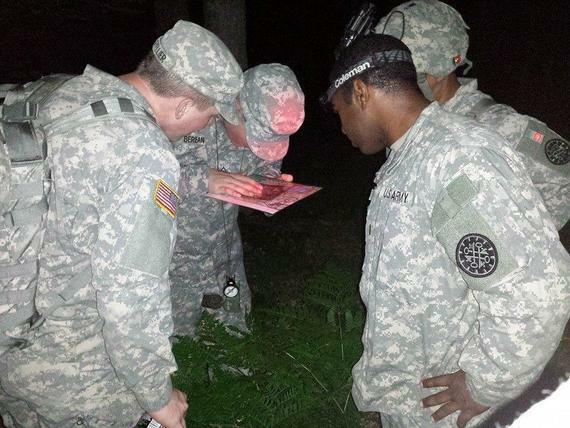 In 2014, the unit participated again in the joint validation exercise Vibrant Response at Camp Atterbury. SELFRIDGE AIR NATIONAL GUARD BASE, Mich. -- About 200 Airmen and 10 aircraft from the 127th Wing deployed to Davis-Monthan AFB, Ariz., on Friday, Jan. 23, to Operation Snowbird. 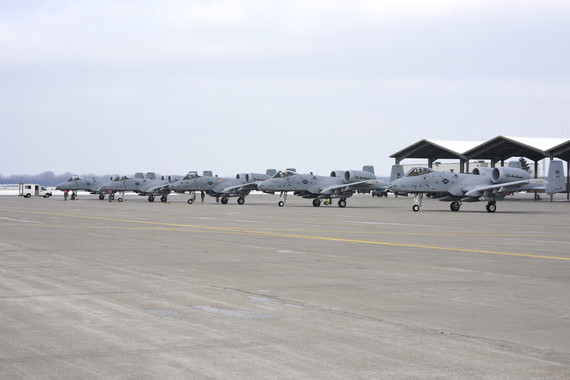 The men and women from various units of the 127th Wing support, operate and maintain the A-10 Thunderbolt II mission. Operation Snowbird allows military flying units to take advantage of the optimal weather conditions and live-fire ranges available in southern Arizona during the winter months, when home station training may be hampered by snow and ice. By deploying to the Air Force Base in Arizona, Selfridge Airmen also have an opportunity to train and work together in a high-tempo environment. The 107th Fighter Squadron will have more opportunities for sorties during the two week deployment, almost doubling the number of flights performed each day at Selfridge. The Michigan Air National Guard unit's focus will be on search and recovery training with local rescue squadrons stationed at Davis-Monthan. "Training at Davis-Monthan in Snowbird is like a scrimmage before playing in the big game. Everybody gets a chance to sharpen their skills and build up the team," Lt. Col. Shawn Holtz, 107th Fighter Squadron commander. 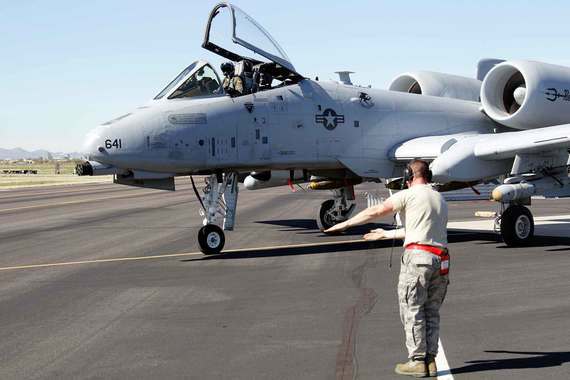 The A-10, originally designed for close air support, provides an ideal platform to provide support to rescue operations in potential close proximity to opposition ground forces. The A-10 can also provide airborne command and control support to rescue operations, as well as serve in air interdiction and intelligence, surveillance and reconnaissance capacities. BATTLE CREEK, Mich. -- The Michigan Air National Guard’s 217th Air Component Operations Squadron has the unique challenge of planning 21st century warfare through innovative processes. It is one of the youngest units in the Air National Guard, having stood up at the Battle Creek Air National Guard Base on April 1, 2009. Though part of the 110th Attack Wing, the 217th ACOS mission diverges sharply from the rest of the base by being a distributive/augmentation staff, specifically addressing warfighter staff concerns of U.S. Air Forces in Europe. Col. Eric Ely, the 217th ACOS commander, formerly commanded the 110th Maintenance Group and brings a diverse background of experience to the 217th. Much of what the 217th ACOS does is highly classified and deployments are generally publicly acknowledged after they happen rather than as they occur. The 217th ACOS trains monthly, assisting USAFE general staff on solving real world issues based upon four-star level guidance and by leveraging or devising new plans to solve European and African continent issues. This type of training provides 217th ACOS Guardsmen different challenges as well as individual satisfaction of completing tasks, which may be in future global news. All of this takes place in Southwest Michigan at the Battle Creek Air National Guard Base. As a headquarters-planning element, it functions at the operational and strategic levels of war, providing direct, integrated support to U.S. Air Forces in Europe and two geographic combatant commands: U.S. Africa Command and U.S. European Command. The 217th ACOS works in coordination with other four squadrons in the 217th Air Operations Group to provide theater-wide planning and command and control capabilities for overseas and domestic operations. Starting from nothing, the 217th ACOS now has 18 full-time and 54 traditional Airmen drawing from more than 42 different career fields. In addition to their skills’ training, 217th ACOS personnel implement joint processes, cross functionally aligning its nine directorates to support the development and study of strategic/operational plans. The 217th ACOS is the only Air Force unit currently assigned to U.S. Africa Command. Upon its initial activation, the 217th ACOS was paired with 17th Air Force, headquartered at Ramstein Air Base, Germany, from whom it derived its number. In 2011, 17th AF was absorbed into 3rd AF supporting USAFE, which has assumed responsibility for Air Force operations in Africa. The 217th ACOS members have deployed to more than a dozen nations, including Botswana, Djibouti, Ghana, Liberia and Nigeria. Most notable was the 2011 participation in Operation Odyssey Dawn, the international military operation in Libya, which successfully enforced United Nations Security Council Resolution 1973, and the 2013 participation in Operation Juniper Micron that was responsible for synchronizing all Department of Defense efforts in support of French operations in Mali including the intra-theater airlift, air refueling and intelligence sharing mission-sets. In addition, 217th ACOS personnel regularly rotate to Ramstein for real world augmentation and training.